The Loveliest Village on the Plains is looking a bit different these days. 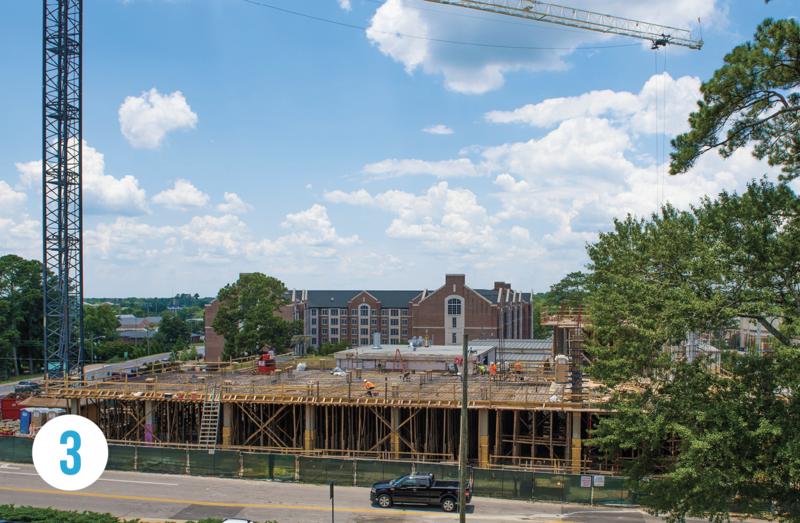 In keeping with President Leath’s vision to make Auburn University one of the top research schools in the country, these new structures are laying a new and improved foundation for the future. 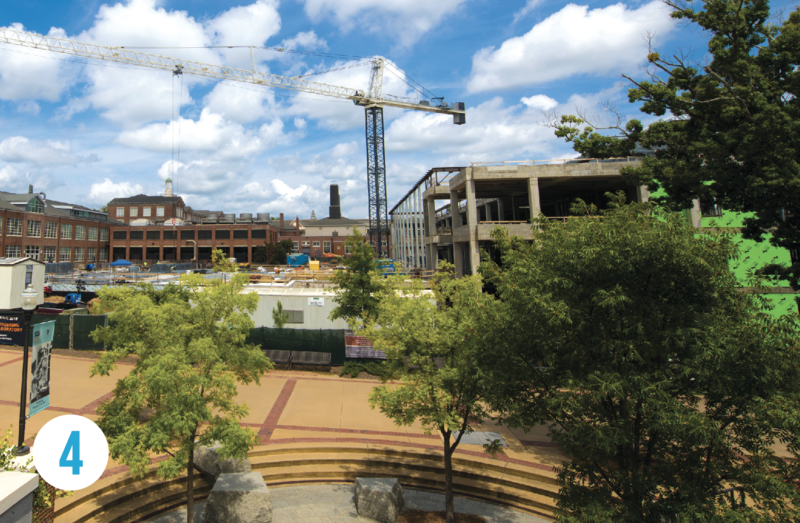 Visit aub.ie/underconstruction to keep up with the latest developments on Auburn’s campus. 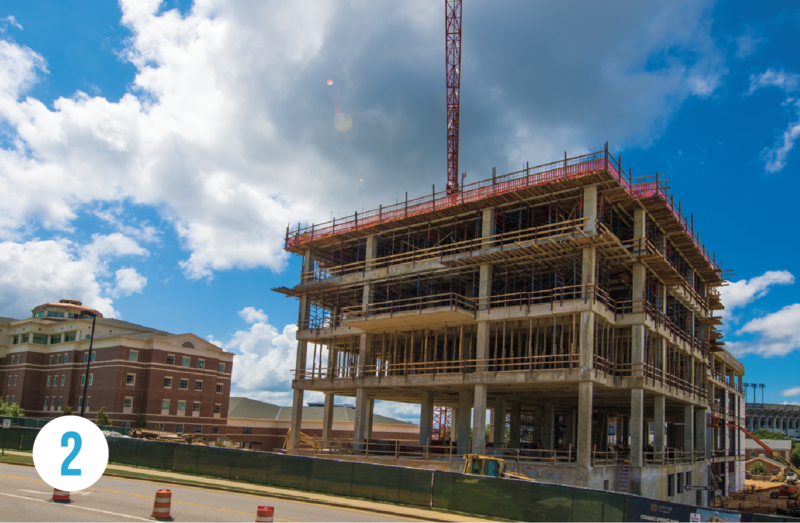 The new 80,000-square-foot addition to the Harbert College of Business will enable the business school to adjust for growth in enrollment and enable the use of updated technology and teaching methods. The five-story building features several adaptable classroom spaces, an auditorium, an executive board room and a rooftop terrace. A $24 million, 62,500 square-foot addition to the Leach Science Center will consolidate and relocate the Department of Physics and faculty from Parker Hall and the Allison Laboratory. 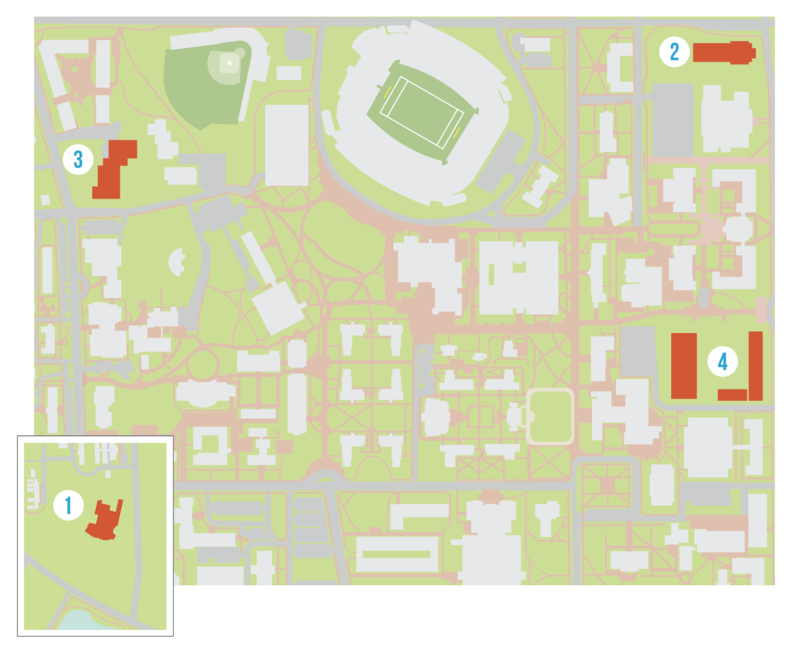 The addition will consist of instructional and research laboratories, student success and collaborative study spaces and departmental offices. 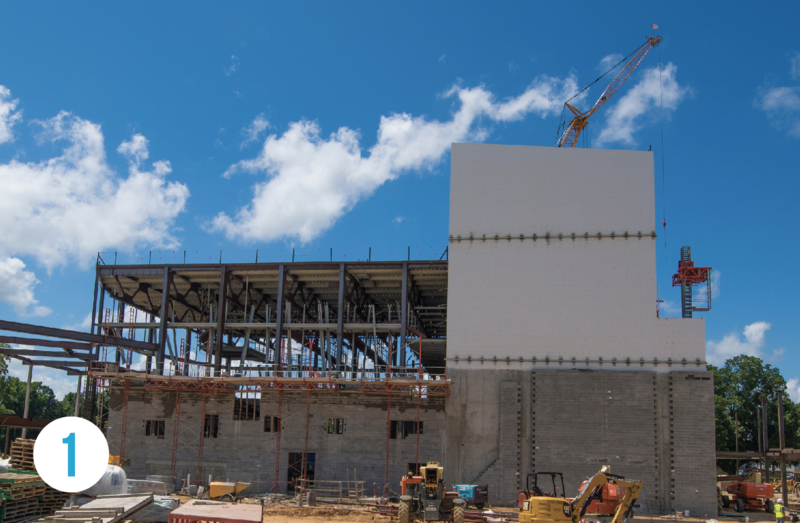 The $18 million Gavin Engineering Research Lab renovation will expand the existing building, providing state-of-the-art lab spaces, an additive manufacturing facility, a wind tunnel and a facility for the Nuclear Power Generation Systems Program.